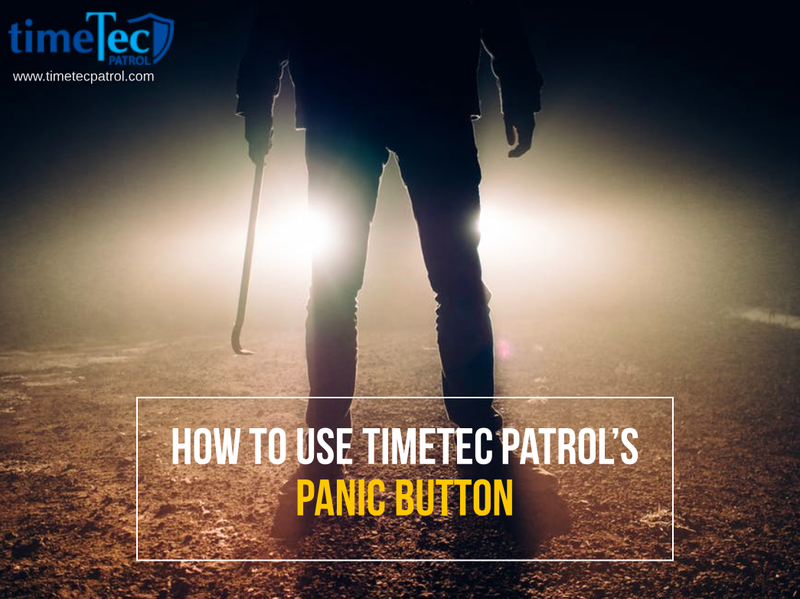 Within TimeTec Patrol Mobile App, there is a useful feature known as the Panic Button that will automatically send out alert notifications when it is triggered, complete with the user’s GPS location and auto-captured photos. However, prior to using this button, you will need to first define the contact list for each of your patrol location, to ensure the alert only goes out to relevant people who will respond to the emergency. After the alert is sent, recipients who have viewed the alert message will also be tracked in the system. Back in the control room, these details are then displayed in real-time on the Monitoring page, providing Security Managers or Supervisors with vital information that helps them make better decisions for the incident response. In our recent release, we also added an SOS Alert Report in order for you to easily review the history of its usage. Since the Panic Button can play an important role when used effectively, let’s learn more details as shown below. Note: This feature should only be deployed when there is a genuine need for assistance and not to be handled irresponsibly. 1. Firstly, Admins should configure the list of Contact person to be alerted (Notification recipient) for each Patrol Location. Login to Web > Go to Routes > Incidents & Notification > Assign Notification Recipients to Incident. 2. Choose your specific Patrol location > click Edit for SOS Alert > select User > add Notification Recipient for SOS Alert. Note: You can only select TimeTec Patrol user that has been assigned to that patrol location. 3. It is recommended to add the Security manager/supervisor and all guards for a particular location, so that any nearby guard can respond. 4. All recipients added above will receive both Web and Mobile notifications if a guard under that Patrol Location triggers his/her Panic Button. 2. Once pressed, you can still click to cancel within 3 seconds before the actual activation (To cancel, you must input your user account password). 3. After activation, the siren will sound. Your GPS location will be recorded. (Note: Location services/GPS for mobile must be turned on) Four photos will be auto-captured and uploaded to the server. 4. Once uploaded, you can press “Done” and input your user account password to stop the siren. 1. For each Patrol Location, we recommend that the appropriate Security manager/ supervisor and all the security guards on location are included as a Notification Recipient. Please refer to the relevant section above on how to configure that. 2. Once the Panic Button is triggered by a guard, all recipients will receive both Web and Mobile notifications for S.O.S Alert. Therefore, both types of notifications are discussed below. 1. After the Panic Button is triggered, whichever screen you are viewing, you will receive the alert. You can see that the S.O.S Alert icon on the right side of the Menu will be flashing in red. 2. A Siren will also be sounded on your computer (You can mute this by clicking on the speaker icon in the message). Click the S.O.S Alert icon on Menu > View message with GPS location (if available) and the four photos attached. Note: GPS location will only be reported if the guard has turned on Location services/GPS on their mobile phone. 3. Once viewed by the user, the alert will stop which means the flashing icon and Siren will be deactivated. Following that, you can respond to the emergency according to your security protocols. Please be aware that the Notification Recipient who viewed the alert will be tracked in the system (At Records > Monitoring). 1. Meanwhile, for those using the Mobile App, if you are logged in to the Patrol App when the Button is triggered, you will receive a push notification on your mobile phone. 2. Tap on the notification. You will be redirected to the App’s Notification screen > select Report Incidents to view the notifications. 3. From there, select S.O.S Alert in the notification listing to view the message with GPS location (if available) & the four photos attached. 4. Following that, you can respond to the emergency according to your security protocols. 1. The guide below is mainly for Admin/ Control Room use. 2. In TimeTec Patrol, these users should be assigned with an Admin role and granted rights over the Monitoring module. 3. We also recommend that that they are added as one of the Notification Recipient, in order to receive the alert. Please refer to the relevant section above on how to configure it. 1. Monitor patrol shifts at Record > Monitoring. Select the appropriate Patrol Location. 2. Receive alert as a Notification Recipient (refer to the relevant section above for more information). Click to view the SOS Alert message with GPS location (if available) and photo attachments. 3. If an Admin has been added as a Notification Recipient, they will also be alerted through the standard system notification window (bottom right of the screen). 4. Click on Notification > Report Incidents > S.O.S Alert - View message with GPS location (if available) & the four photos attached. 5. Elsewhere, at Records > Monitoring > scroll down to SOS Alert listing > Review who has viewed/acknowledged the alert to assess for further action. You can also click “View Map” or “Photo” for more information. 6. Following that, you can coordinate your team’s emergency response, send instructions, assistance and equipment or escalate to the authorities. After resolving the emergency, generate the SOS Alert report for review or filing by going to Report > SOS Alert Report.